ISLAMABAD: Birth anniversary of Pakistan’s legendary film actor Sultan Rahi is being observed on Sunday. Sultan Rahi was born in a Muslim family in Saharanpur, Utter Pardesh, India, in 1938. His family migrated to Pakistan after partition and settled in Gujranwala after 1947. He remained the most popular Punjabi hero during 1970s and 1980s. He appeared in more than seven hundred Punjabi and Urdu-language films and named in the Guinness Book of Records as the most prolific actor. 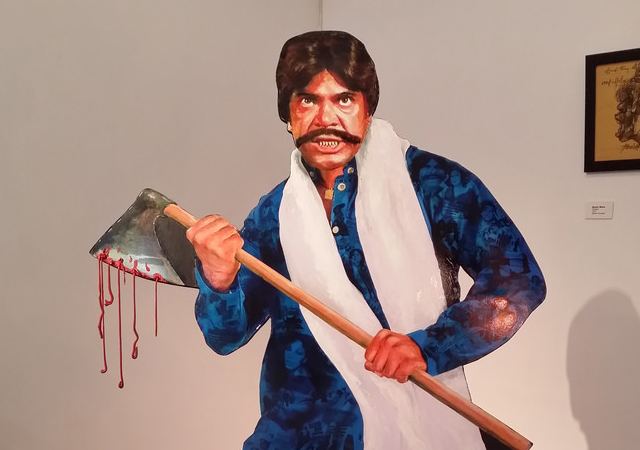 His film Maula Jatt — released in 1979 — broke all records and became a trend setter in Punjabi films, thus changing trajectory of his career. He had a voice like thunder and a rock-hard personality, which gave him a unique edge over the stars in the industry. Some of his dialogues are still popular and heard and cited in other films and dramas to this day. Sultan starred in more than 750 Punjabi and Urdu films. However, his career came to an abrupt halt on 9th January 1996, as he was shot dead by armed persons during a robbery attempt on Grand Trunk Road near Gujranwala. His persona and legacy will remain an inspiration for the actors of the Pakistani film industry.